I’m sure you know what QR Codes are. From product packaging to marketing hoardings, these black-and-white squares are everywhere. Over the years, QR Codes have become one of the go-to marketing technologies for print marketers. They’re now even being used at airport to clear customs and to even debug apps. QR Code technology is so versatile that using QR Codes for security shouldn’t come as a surprise. Globally, approximately 1.3 million people succumb to injuries every year caused by road accidents. Such incidents worry people about loved ones who step out. What can we do to keep a check and put such concerns to rest? To address this concern, some organizations have developed tracking apps. With the help of QR Codes, the app allows users to track the whereabouts of their family and friends on-the-go. Boston University graduates Pedro Guimaraes and Fernando Nazario co-founded BusWays. 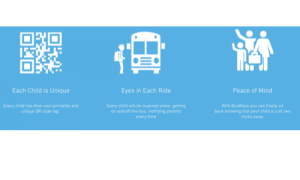 BusWays is a QR Code tracking app that allows schools and parents in Panama track the location of the bus and kids. The app provides a unique QR Code tag for each child. Parents can attach these tags to the child’s backpack. Each time the child gets on or off the bus, a school attendant scans the QR Code. Scanning the QR Code will notify the parents of their child’s location via the app. “The security isn’t big there (Latin America). I noticed my mom and other parents would get very worried about the children. My mom would call me all the time asking if my brothers were on the bus with me, where the bus was. I came up with the idea. How can we fix this issue? Why is this happening?” – Pedro Guimaraes, Co-Founder, BusWays. BusWays gives approved schools access to an admin portal where they can view data on their buses. Using BusWays, schools can view live the bus’ speed and the routes they take. Also, the app allows schools to check the attendance of their passengers. Also, in May 2017, security number plates were rolled out with QR Codes to curb counterfeiting. Safety of passengers using public transport is a concern in India, especially after dark. 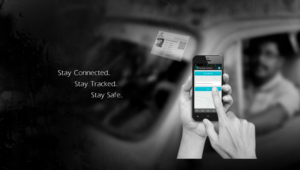 To ensure passenger safety, Software Technology Park of India has developed the Track Me app. Track Me app is currently only available in Bengaluru, India. The app allows passengers to view the driver’s details by scanning a QR Code. Once scanned, the passenger can share the details with their family members. The app covers public transport vehicles such as cab, bus, and autorickshaw. The app also works without an internet connection so that safety is not compromised. “Our app informs family members right at the start of the trip of the person’s whereabouts and continues to confirm throughout the trip if the passenger is fine or not. 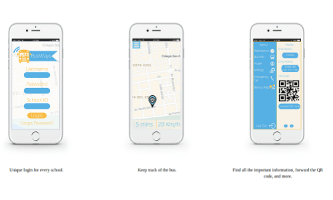 The unique pin system ensures that the driver cannot tamper with the app.” – Prasenjeet Pati, Developer, Track Me app. Besides driver details, the app allows passengers to calculate estimated fare based on distance. Track Me app also provides uninterrupted route tracking. The app is live on the Google play store. Identification and authentication or personnel can be a tedious process. QR Codes have now made this process easier. Tencent, the Chinese internet giant has launched 900 Smart IDs in Nanning, China. A part of their pilot project, the Smart ID is nothing but a unique QR Code. Tencent developed the Smart IDs in partnership with Nanning’s Public Security Bureau. People can create their Smart IDs via the Tencent app or on WeChat (Tencent’s messaging app). To create a Smart ID the user has to send a photo of their ID card on WeChat or the Tencent app. The user will also have to share a selfie for authentication. Once authenticated, the user will receive a QR Code Smart ID. Also see how WPA3 offers enhanced security to WiFi users. To prevent the leak of class X and XII question papers, CBSE (India) introduced QR Codes on question papers in 2019. Each subject has multiple sets of question papers wherein the order of questions varies. And each one of these sets carries a QR Code. This QR Codes can track the origin of the leak and stop its spread. 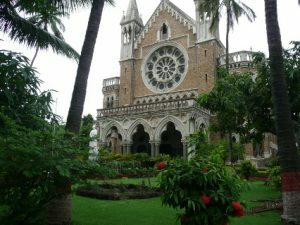 To curb the menace of fake degree circulation, Mumbai University (MU), adopted QR Codes. QR Codes will now be a part of every MU degree to make the process of authentication easier. The current authentication process usually takes anywhere between five days to a month. QR Codes will help lessen the time as one would only need to scan the QR Code to authenticate the certificate. In 2015, APJ Abdul Kalam Technical University, Lucknow also adopted QR Codes for certificates. Also, AIIMS (India) adds QR Codes to medical certificates to curb fake documents. Since Hajj 2015 saw a trajic stampede, the Saudi Government issued QR Code ID bracelets to pilgrims in 2016. These QR Codes linked to pilgrim’s name, nationality, medical history, etc. Also, in 2018, the Police pf Ramanathapuram—India—decided to launch Online Police Verification service. It will help people get verification reports for various cases online and verify their genuineness too. 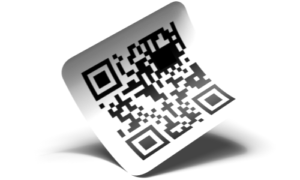 The above use cases make it evident how QR Codes have carved a niche for themselves in security. 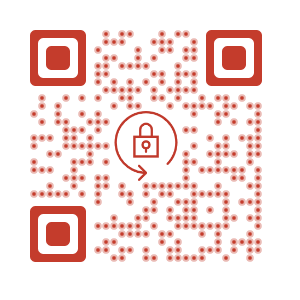 If you looking for ways to make your processes more secure, you too should use QR Codes. Create a visually-appealing and dynamic QR Code to ensure security. Free Trial.